Cook quinoa per instructions on product. Slice all vegetables in thin small pieces. 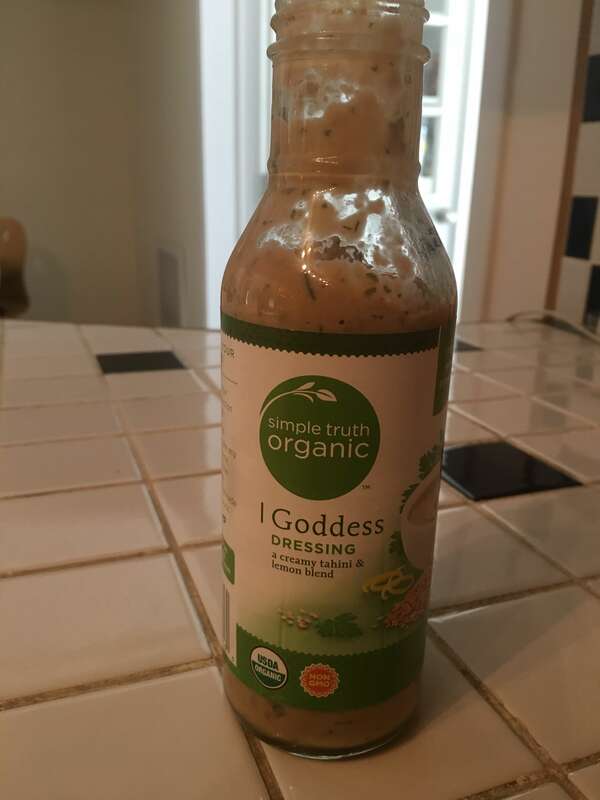 Add goddess dressing (by simple truth organic, found at grocery store) and a drizzle of maple syrup. Mix and let marinate. 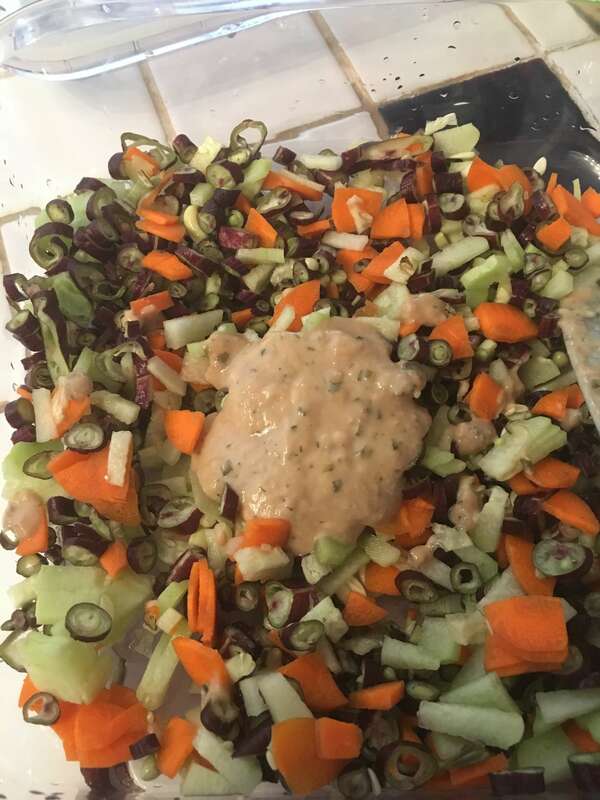 Open a can of navy beans and heat them in a pan. 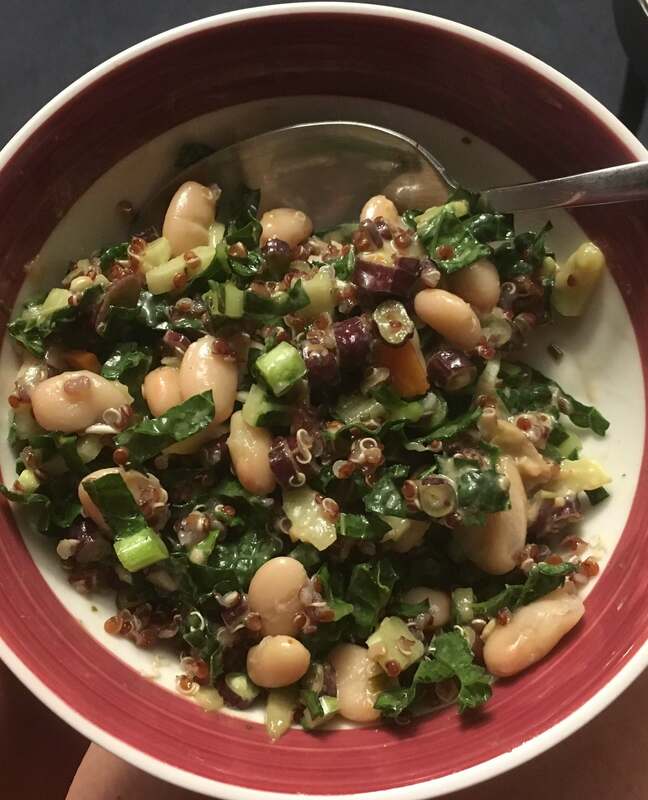 Add a few scoops of quinoa to a bowl, a few scoops of navy beans, a few scoops of vegetable marinade and sprinkle the top with chopped walnuts. Enjoy!